Do all birth control pills have the risk of causing blood clots even when you do not smoke? Birth control pills are a great option for women looking to prevent pregnancy. 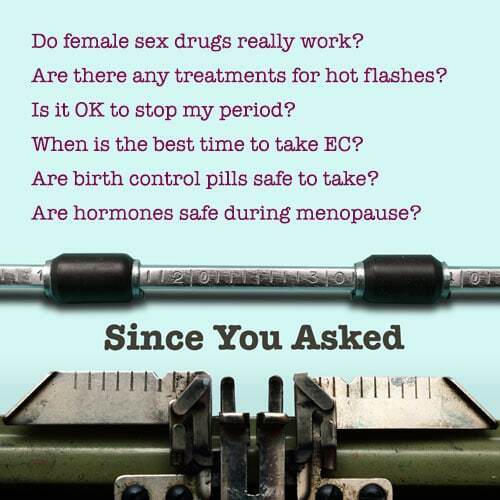 There are two main types of birth control pills: combined hormonal contraception (CHC) pills, which contain both estrogen and progestin and are the most commonly prescribed in the US, and mini-pills, which only contain progestin. When taking any medication, there may be risks involved. CHCs are associated with an increased risk of blood clots due to increased levels of estrogen; however, the risk is small. In addition to combination birth control pills, there are other types of combined hormonal contraceptive methods, including the patch and the vaginal ring. Research shows that women who use the patch or vaginal ring have a higher risk of developing blood clots than those using combination birth control pills. Even so, the likelihood of getting a blood clot from CHC methods is very low. In fact, women are at a greater risk of experiencing blood clots during pregnancy or right after giving birth due to high estrogen levels. See our fact sheet for the relative blood clot risk of various kinds of contraceptives. As we have cautioned, there is strong evidence that combination birth control pills containing progestin hormones called desogestrel and drospirenone are more likely to cause blood clots compared to other contraceptive methods. The brand names of the birth control pills containing drospirenone and/or desogestrel are Yasmin, Yaz, Beyaz, and Safyral. Women taking birth control pills made of drospirenone are 74 percent more likely to get a blood clot compared to those who take other pills. If you have a high-risk of developing blood clots, there are other birth control options available. Blood clot risk factors include obesity, smoking, surgery, cancer, genetic clotting disorder, and prolonged inactivity. If you have any of these risk factors, the following may be good options for you: intrauterine devices (IUDs), Nexplanon (arm implant), or progestin-only birth control pills. It’s important to have comprehensive information on a variety of birth control methods. Your healthcare provider can help you weigh the risks and benefits of contraceptive options so that you can determine which one is best for you.